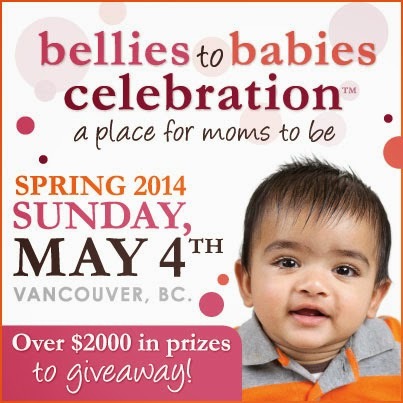 Don’t miss out on the Spring Bellies to Babies Celebration™. BC’s best and original tradeshow for new and expectant parents. Whether you're a rookie or becoming a mom for the second or third time, this day is just for you! Dads and Grandparents welcome too! Sponsored by: Urbanbaby & Toddler Magazine, JRFM, Virgin 95.3FM, CTV, Shop n’ Stroll Fitness, Vancouver 24 Hrs, Yoyomama, Usedvancouver.com, Movies for Mommies.